Your physical body, spiritual body… can it be so, or do you suppose that the body is totally matter, perishable and not at all spiritual? That the mind is spirit while the body is only the vehicle?. There could be something quite back-to-front about that. Great teachings suggest there is something suspect about the mind and its role – sayings such as “die to self”, or “the void”, or “no-mind-no-self, or “beyond the ego”, suggest it. 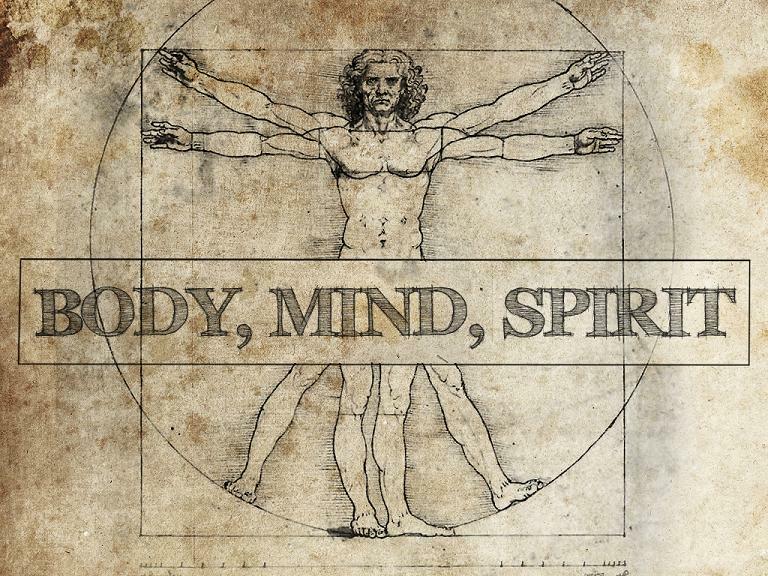 So here is something to consider about the body – it seems totally spiritual to me. Even if were to agree that the body is purely matter – but maybe that’s not as clear as it seems – it lasts much longer than your mind. Without your mind there is no “you”, and yet.the mind is fragile.. put a chemical in the brain and your mind will be changed, and what is perceived as “you” will change, too. Put a bullet in the brain, and the mind will be finished for good and all, unless it survives in some vegetative mode, when “you” seem not to have a presence at all. What about the body? Decomposition, yes, but every atom of it will persist for millennia, repackaged in some form or another. The body, even on a material level, approaches infinity in its durability. It just won’t be “you” any more. You may like to suppose that the mind is spiritual, and the mind is who you are. Hey, get real! No body, no mind. “Oh, but the mind is who I am, I am a mind living in a body, and so I will live on when my body dies.” Isn’t that how it goes? Well, Yoga has seen through that story for thousands of years. That desire to live forever is called “abhinivesa”. It is spiritual childishness, the ultimate ego-trip, and you ought to grow out of it.Your mind is a neural network, and your thoughts are neurons firing off. Not so special after all? Don’t bother coming to me with your beliefs, either – they are just a bunch of neurons firing off and do not establish what reality is. What?!! Surely by now you have had enough. Wouldn’t you prefer the comfortable fantasy of “yourself”? The “me” who has a body, and a mind, and a soul, and an infinite future. Very cosy, too bad it is a furphy. When there is no neuronal function, there is no one saying “me”. Without a thought/neuronal firing, you cannot tell anyone your name or who you are. “You” cannot own anything. It is not that “you” have a body and a brain and a mind – rather, the body has a brain which makes a mind, which has an idea, which it calls “me”. Why be offended – is it not remarkable, fantastic, miraculous? This amazing body is much closer to everything you have thought of as spiritual, and your body may be a more direct doorway to it, than your mind is. Your mind creates the person and personality, with all its misbehaviours and problems – the body is peaceful. 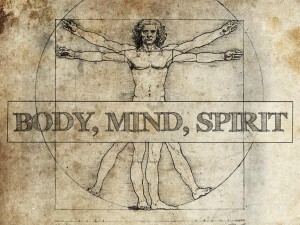 Without the mind’s commentary, the body is an entirely different experience from what you are used to. The mind tells you what you ought to feel and do and how you ought to be seen, and is rarely honest about what you really feel and how you really are. It postures and poses and argues. It creates boundaries and limits, and then projects them onto what is. It is intrinsically polarised, seeing the entire world and everything in it from an I-like-it / don’t-like-it perspective. The body doesn’t do any of that. It is simply peaceful. How much more sensible the body is, considering that Reality couldn’t care less whether you like it or not, and hugely resists your definitions and limits. The mind has its plans and desires, and sometimes forces them on the body, as though the body were an impediment that had to be dragged along unwilling. And still the body is peaceful. In time the body passes into death, and the mind kicks up a fuss. Not so the body, which simply retires itself when the time comes. Just sitting, take your attention to your physical sensations. The mind will immediately jump up with its commentary and definitions (this is my posterior, this is the chair; this is my arm, that is my sleeve, etc). Whatever the mind comes up with, it is a thought about your physical experience, not the experience itself. So you have to consistently disregard it, dismiss the mind’s commentary on your experience. Probably best to have your eyes closed, too, to reduce the overwhelm. As you tune in more acutely to physical sensation, you will find – no thinking! – that sensation does not distinguish between your backside and the chair. It is just a spreading sensory feeling awareness, no edges or distinctions.You cannot distinguish where the air molecules meet your face molecules. You cannot even feel what it is to have a face. Soon you may find that your experience is a non-bounded amorphous sensory state, consciousness with no thought, no projections, no “me” – nothing to separate you from the whole, no ego centre. Sure, in such a state we can talk about neuronal levels and the parasympathetic nervous system. It is also, though, a physical/spiritual experience, and it would be the same old mind-trick if you reduced it to an either/or definition. The state is an experience of vastness and sublime peace, and seems to be one of great love. What? It’s just a body, can’t have such statements about it? And yet, maybe we can. What is happening in that state? No mind, no self? Oh, tick that one. Sublime peace? Tick that one, too. Non-defined (non-finite, in-finite?) Yes, tick that. Merging with the whole? Tick that one. Love and acceptance? Why, tick that one too. And then we find we can be less serious about all the mind stuff. The skilful, clever, analytical mind is to be enjoyed and worked, and yet it is not the “who I am” and it is not the be-all and end-all of spirituality. This entry was posted in Article, Physiology of Meditation, Reality-Based Spirituality, Spritual Realism and tagged article, mistaking thought for reality, reality. Bookmark the permalink.